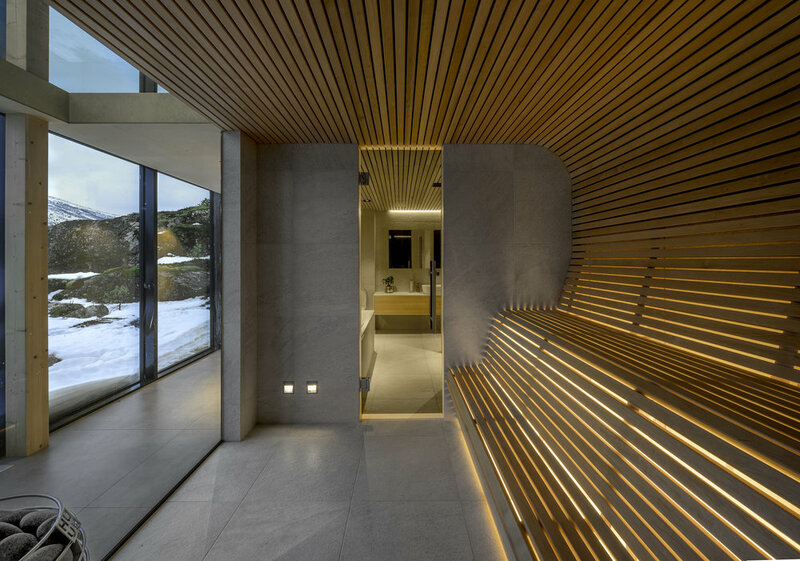 This wonderful Norwegian retreat has been designed by the architect firm Stinessen Arkitektur. Lead by the architect Snorre Stinessen, this practice is committed to developing projects that are conscious of the surroundings and the people inhabiting the spaces they create. Words from the architect: Efjord is in a branch off the Ofoten fiord. Ofoten fiord leads from inside of Narvik out to the Lofoten archipelago in Northern Norway. The site is positioned on an island called Halvarøy on a natural ledge in the terrain overlooking the fiord to the west, two of Norway’s most challenging climbing peaks towards the south and protected by a ridge in the terrain towards the east.